Microsoft Publisher is a popular choice when you need to create documents like flyers or brochures that will be printed and distributed. 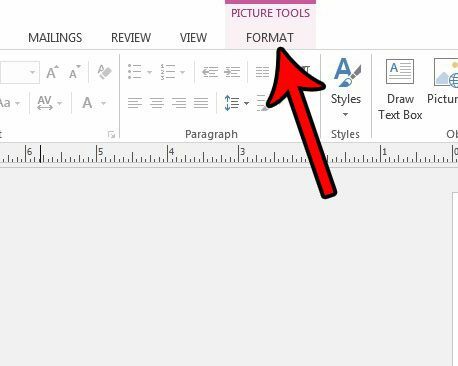 It is often a better option than Microsoft Word, as it is much easier to position and move document objects in Publisher than it is to do so in Word. One of the more common object types in Publish is an image. Whether this is an image that you took yourself, or one that you got from another source, it’s very possible that your projects will require pictures. But if there are elements of your image that you don’t want, then you may be looking for a solution that will let you crop them. 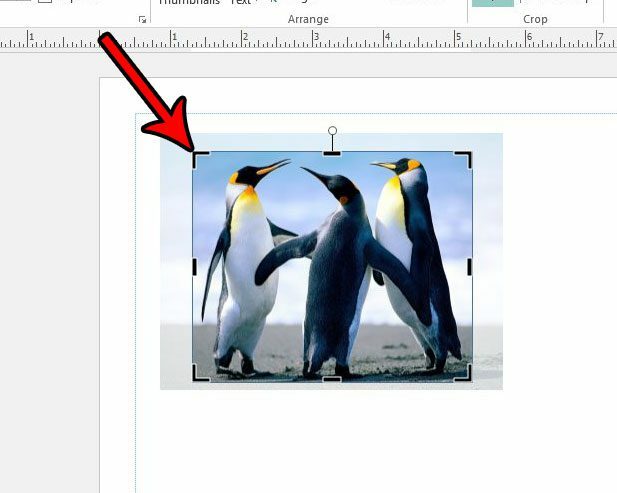 Fortunately you can crop pictures in Publisher 2013 directly by following our tutorial below. 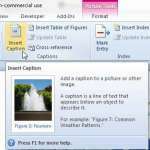 The steps in this article were performed in Microsoft Publisher 2013. 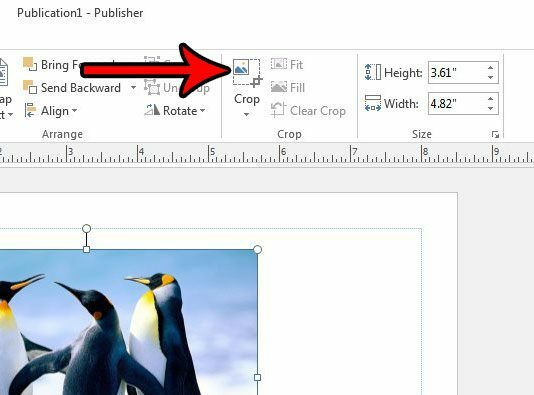 This guide is going to show you how to crop a picture that you have inserted into a Publisher document. 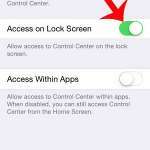 This will not affect the original picture file that you inserted into the file. This only affects the version of the image that is in your Publisher file. Step 1: Open your file in Publisher 2013. Step 2: Click the picture that you want to select it. Step 3: Click the Picture Tools tab at the top of the window. Step 4: Click the Crop button in the Crop section of the ribbon. Step 5: Click on the black handles on the picture and drag them until you have surrounded the part of the picture that you wish to keep. 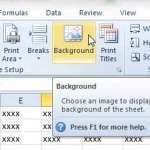 Once you are finished you can click in another part of the document, which will deselect the image. You will then see the cropped version of the picture in your document. Do you need to create a version of your file that’s easy to send to other people, or even to a printing company that might be printing the file for you? 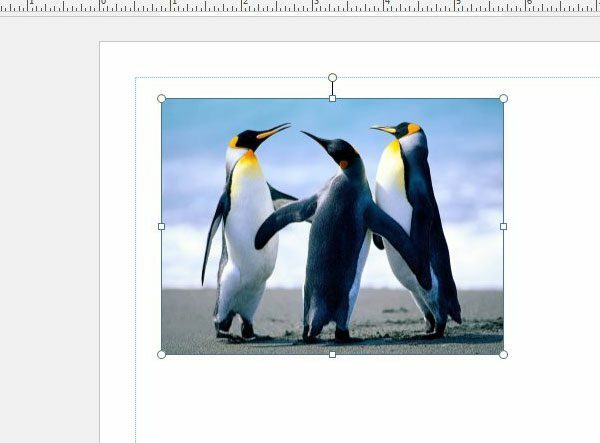 Find out how to save as a PDF in Publisher and start sharing your files in a format that is more commonly used.